Dushyant Thatte joined iSixSigma 7 years, 3 months ago. 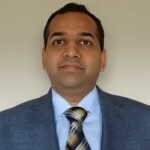 Dushyant Thatte is a Certified Six Sigma Black Belt (ASQ-CSSBB), Project Management Professional (PMI-PMP) and Certified Scrum Master (CSM). He has 10+ Years of Experience in the IT Industry. He is a System Consultant practicing techniques of Lean, Six Sigma, Project Management, Theory of Constraints, Agile, and IT Service Management.